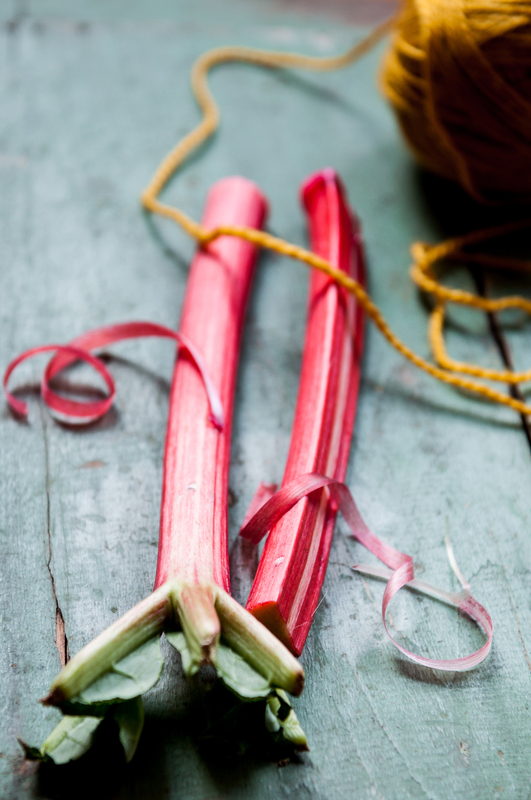 Rhubarb and Friday! It has been a long week and going to be not much of a weekend with work that needs to be wrapped up piling up my to-do list. Still, I am going to rejoice in the tying together of loose ends, snatched times to self over the next few days and simply, the checking off of items from the list that will thankfully happen. So, I do apologize that I do not have a proper story for you today and direct to a detailed photography tips post I wrote this week about using phone photography to say a human story. I am going to run back to that list but I had to leave you with this gem of a cake made with the season's blushing favorite, Rhubarb! Do not feel forsaken by how humble and rustic it looks. It's charm lies in that simplicity; in that it serves as an elegant crumb cake for a cup of afternoon coffee and even as a scrumptious dessert with a little vanilla cream. It is also one of the easiest cakes I have ever made and adapted from a Sainbury's recipe to go wheat free. Almond and rhubarb pair like long lost cousins reunited. The nutty almond stoking the tart flavors of rhubarb before they both collapse in their mutual sweet merriment. Toss the rhubarb pieces in a little sugar (or maple sugar) and set aside. Cream the butter and maple syrup to light and custardy. Add the egg and milk, whisk to incorporate. Add all the dry ingredients other than the rhubarb to make the batter. Spread half the batter in a 3 inch cake. Arrange half the rhubarb on top of the batter and then spread the remaining batter over this layer. Top with the remaining rhubarb and almond slivers. Bake for 40 minutes until golden and springy. Cool for a few minutes before slicing.